In the past month, we have been dumpster high in cleaning out trash. We cannot get over how much stuff filled this 840 square foot house. So far, we have gone through 60 cubic yards of trash for this tiny house. Unfortunately, we have not found anything worth saving or hidden treasures. 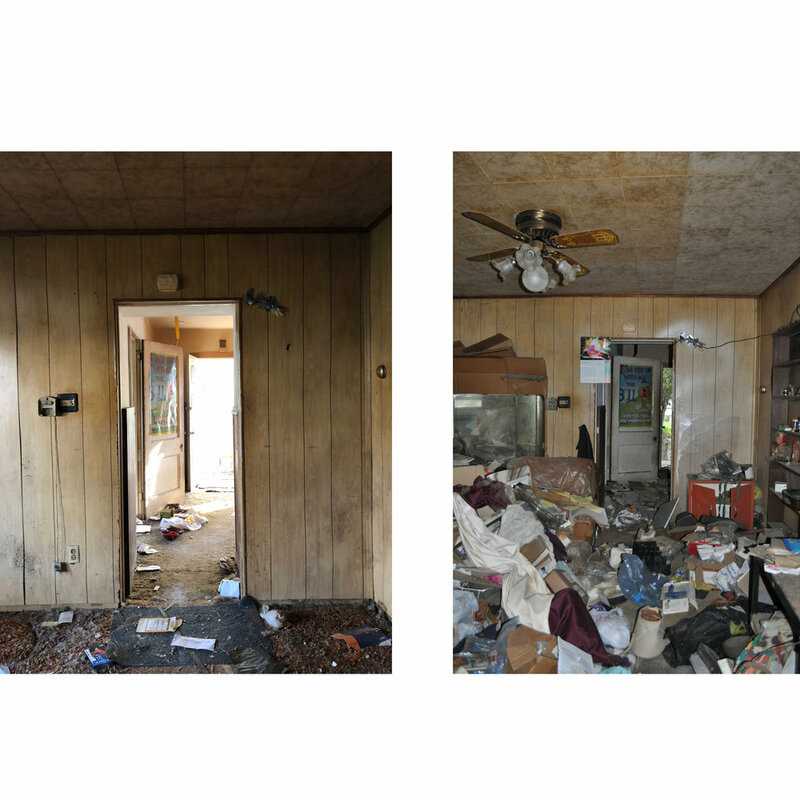 There have been a lot of unworn ladies shoes, 9 Tv’s, 4 hard drives, checkbooks, coffee cans, and mail. At a certain point, we just stopped looking and kept tossing. And now, we can gladly say that we can walk through the house. Like, seriously walk through without climbing four feet of trash or taking a shovel to scoop a path. 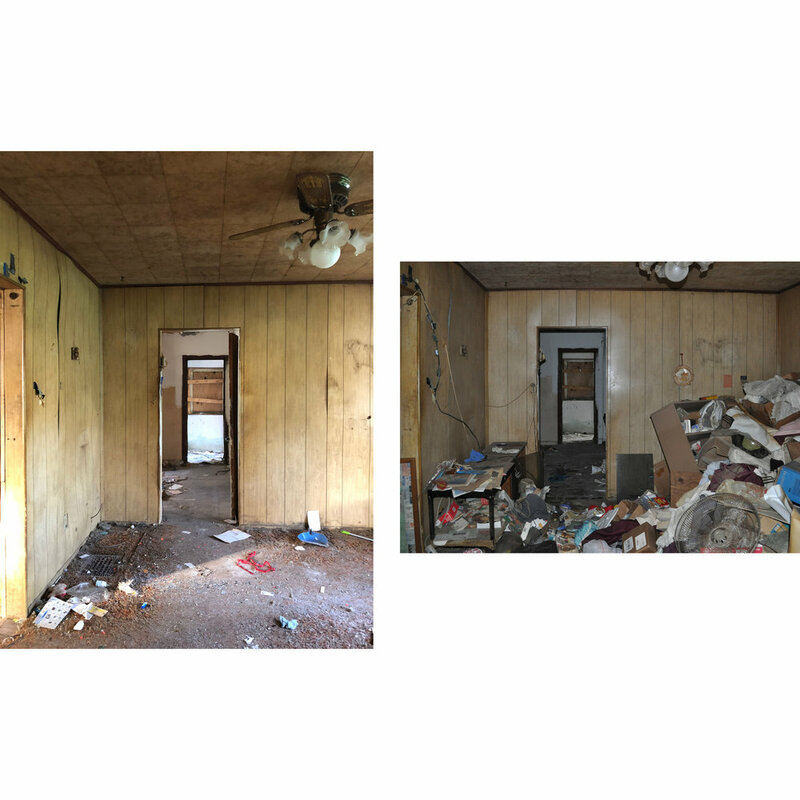 Although the house still looks to be in poor shape and in need of much help, it’s fun to look back at how far the house has progressed with a few weeks of cleaning. Special thanks to the Des Moines Roosters, our own Australian Football Club, for their help in the last push. We had two rooms left to clear that were full of desks, dressers, and bookcases. All large items that I would be of no help carrying. In an impressive 1.5 hours, or a workout at the gym for these fellas, Ryan and the crew were able to clear out these last two rooms. The transformation has started. We can walk through the house! There have been some frustrations the past month as Sherman Hill is prone to wanderers. These wanderers found their way to our dumpster and enjoyed tossing everything out of the dumpster to search for those hidden treasures. Like I said, and what they discovered, there’s nothing worth saving. Unfortunately, this meant we had to clean up everything twice.. or three times.. We don’t mind people getting in the dumpster, we just don’t want them to toss things out of it and make a huge mess. We did end up calling the non-emergency police line to scare them away, which seems to have worked thus far. Another option we tried, thanks to recommendation from our neighbor, was to call the Bethel Mission to request assistance. We thought this was a great way to provide paid work for individuals who are trying to get back into the working world, as well as tackle the feat ahead of us. Unfortunately, we did not have success in securing any paid volunteers, but we have heard that if you can secure volunteers, this is a great resource and plan of attack. So what’s next? We will be getting a new dumpster because this one is FULL. And, we will start to tear out cabinets, remove appliances, rip of drywall, and remove ceiling finishes. 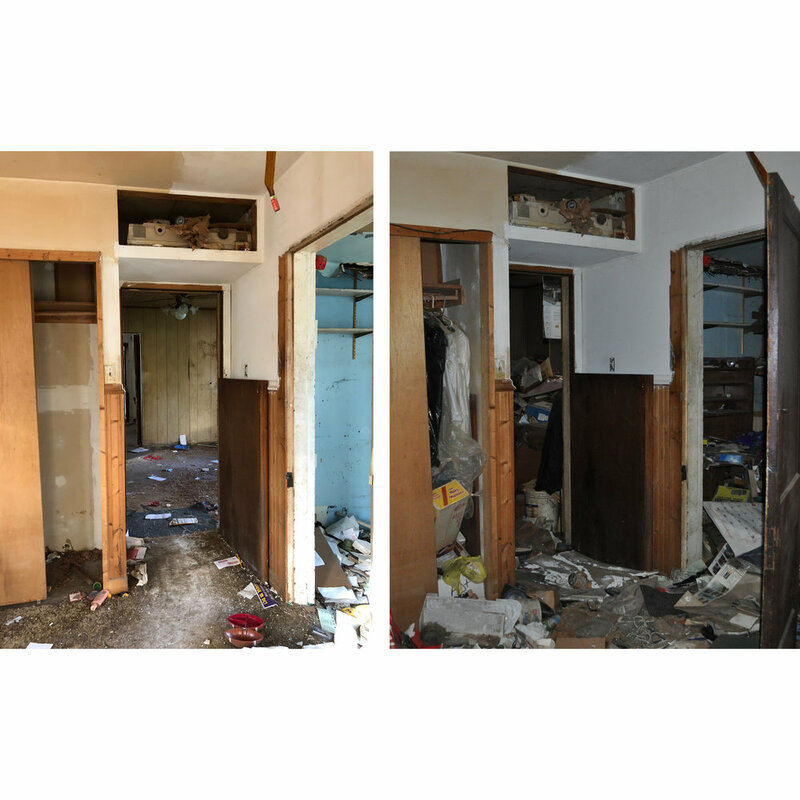 Our goal is to remove as much as we can so that a contractor can walk into the home with everything visible. By making everything visible, this should help the contractor provide a more accurate analysis of existing conditions, and ultimately a more accurate estimate in the remodel costs. And the brains behind this crazy purchase. I cannot wait to spend this winter drawing what the plans will be. I’m already dreaming of the open house we will have next year.